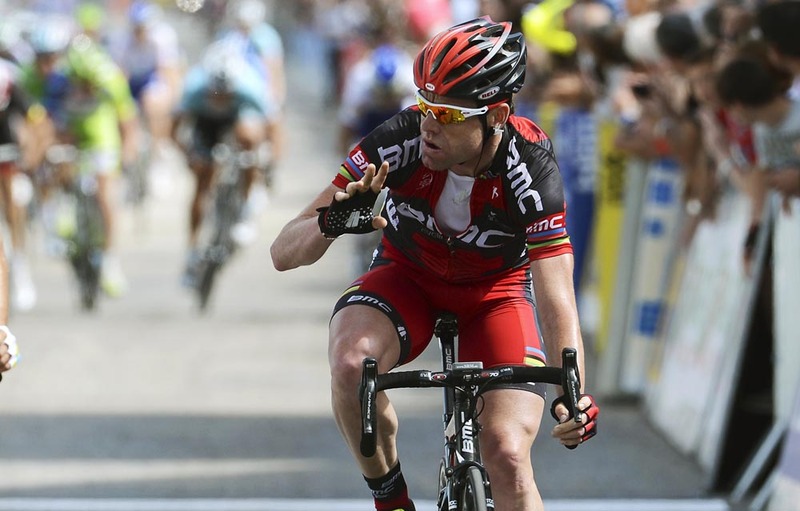 Cadel Evans (BMC Racing) won stage one of the 2012 Critérium du Dauphiné on Monday, as Britain’s Bradley Wiggins (Sky) moved into the overall lead in the race. 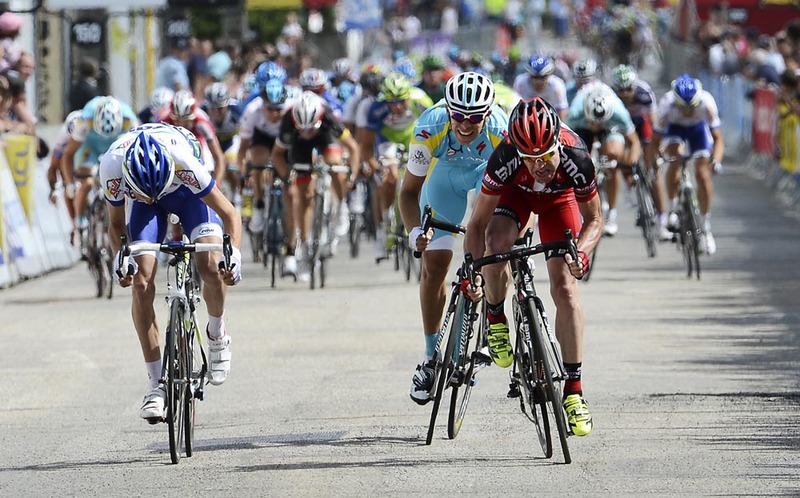 Evans was part of a late three-man escape group that broke free from the bunch on the descent to the finish. The 2011 Tour de France winner sprinted ahead of Jerome Coppel (Saur-Sojasun) in second and Andrey Kashechkin (Astana) in third to score the victory. Wiggins finished in the main bunch at four seconds and moved to the top of the general classification after prologue winner Luke Durbridge (Orica-GreenEdge) failed to stay with the peloton on the hilly 187km stage from Seyssins to Saint-Vallier. Evans now sits in second place overall, just one second adrift of Wiggins. Andriy Grivko (Astana) is third at two seconds. Evans’ stage victory shows that he is serious about taking on Wiggins in the fight for the race win. His late move may not have netted him a huge amount of time, but it all but wiped out the deficit from Sunday’s opening prologue. 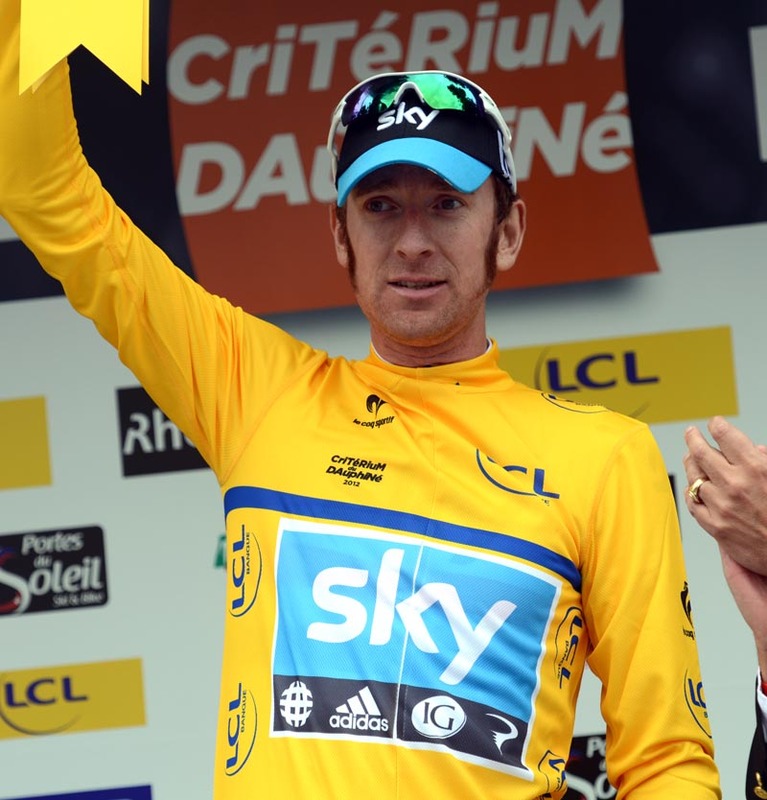 Wiggins and his Sky team will now have to deal with the added pressure of defending the yellow jersey on a week of tough stages. Several big names struggled with the day’s six categorised climbs. Most notable rider to drop off the pace was Tour de France hopeful Andy Schleck (RadioShack-Nissan) who finished in a group three minutes and 10 seconds behind Evans after losing touch on the final climb. Worst off was reigning Olympic road race champion Samuel Sanchez (Euskaltel-Euskadi), who crashed early on and struggled through the rest of the stage to finish in last place, nearly 24 minutes down on Evans. On Tuesday, the riders tackle another hilly stage from Lamastre to Saint-Félicien. The 160km route offers up an almost relentless procession of ascents and descents, starting with the second category Col de Montivernoux and finishing on a fourth category ramp to Saint-Félicien. The final ascent will favour another late attack.